A wonderful builders home has hit the market and offers great access to I-84 and this home will put you 15-20 minutes to Boise, Idaho. Live in the country and have it all! Incredible one owner builder home with many quality features. 3 levels with master on main level. Frame construction with 1200 sq. ft. of decks with log accents. Huge living room/entertainment area and awesome country views. 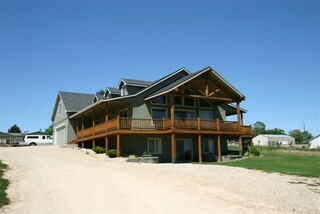 This is an incredible family home in an incredible location with quick access to I-84 and just minutes from Boise. 26 S. Happy Valley Rd. Who wouldn't want to live on Happy Valley!? Looks like an awesome home...good luck with the sale of it George. Neal...thank you my friend! Have a great weekend.